Because you shouldn’t be a slave to high heating and cooling bills. Monthly energy bills increase every time the furnace or air conditioner kicks on. 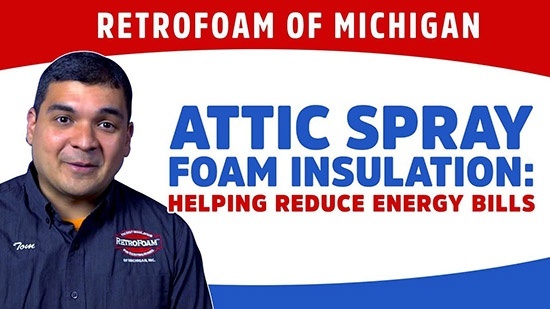 Michigan homeowners with poor attic insulation are seeing their expensive air, the air they pay to heat or cool their house, escape right through the attic. Updating that old attic insulation with spray foam not only gives your furnace and air conditioner a break from constantly running, but makes families happy with reduced monthly energy bills and the avoidance of other annoying problems like condensation, mold, and ice dams. Keeping the conditioned air in and the outside air out improves energy efficiency, reduces the carbon footprint, and puts more money back in your pocket. Foam insulation provides the necessary air seal to keep indoor temperatures consistent across all the rooms of your home all year, no matter the season. Less dust, allergens, and condensation leading to mold and mildew entering your home will make the whole family happy, not just those with allergies. 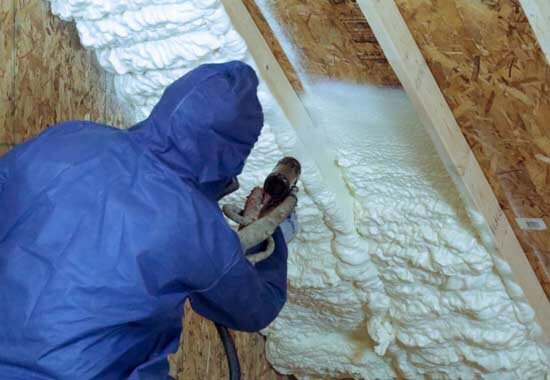 Spray foam insulation provides the critical air seal that keeps the cold air in your house in the summer and the warm air in your house in the winter - providing a more energy efficient, comfortable, and healthy home. Over the past 15 years we’ve insulated thousands of existing homes with foam insulation. Our consultative estimators, highly skilled crews, and helpful office staff aim to guide you through the process with ease. Not to mention, our lifetime warranty gives your family access to our family long after the job is complete. For the spray foam to work properly, your old fiberglass or cellulose attic insulation will need to be removed. Our removal crew will roll up old fiberglass insulation and place it in large garbage bags, or vacuum out cellulose with industrial size vacuums to ensure the area is all cleaned out and ready for spray foam. This is a challenging job that our specialized removal crew makes simple by removing and disposing your old insulation. When insulating an attic with spray foam the roof deck or the flat (floor) can be insulated. When the roof deck is insulated the attic becomes a semi-conditioned space, no longer has extreme temperatures throughout the year, and is great for storage. 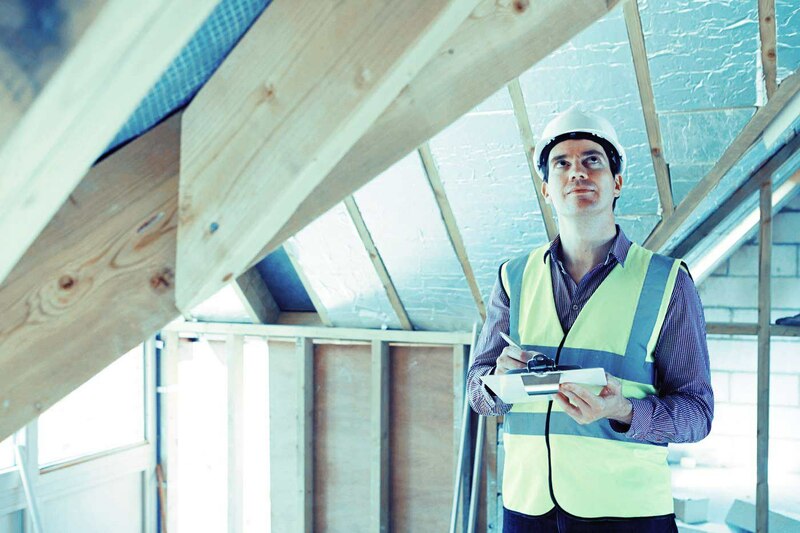 If there are high peaks or a connected garage that shares the attic, it may be best to insulate the attic flat. During your estimate, your estimator will explore these options with you and recommend the best solution for your home. “We had them insulate our attic space and our monthly bill (budget plan) went from $88 a month to $29. We can't believe the difference." What is the Best Attic Insulation? Looking to compare all attic insulation options? Learn about the pros and cons of the most common insulation materials for attics including fiberglass, cellulose, and spray foam. How Much Does it Cost to Spray Foam an Attic? Curious about the cost of foam insulation for your attic? Learn about the factors that impact the pricing of foam insulation, as well as what you might expect to pay for your project. 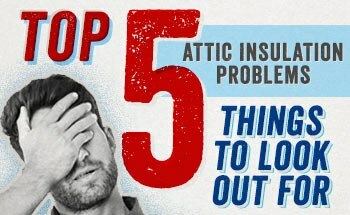 Problems caused by poor attic insulation can lead to damages costing time and money. Learn what the common problems are and how to avoid them with the right attic insulation. Does old insulation need to be removed from the attic before spray foam can be installed? The old insulation in your attic should be removed before the spray foam is applied. This is done so the spray foam can get into all of the nooks and crannies creating an air seal in your attic. Learn more. Can pests nest in spray foam insulation? Spray foam is not inviting for rodents and other pests to nest in compared to materials like fiberglass and cellulose. The air seal foam creates also helps to block those air leaks critters are looking for to find a way in. Learn more. Will spray foam retain water and lead to mold and mildew problems if my roof leaks? One of the benefits of using a premium open cell spray foam is that it doesn’t retain water. It also doesn’t promote mold and mildew growth. Learn more. Should I insulate the roof deck or flat of my attic? This really depends on what you plan to do with the space. If you include your attic in your building envelope by insulating the roof deck, then you can use the space for storage, as well as prevent ice dams. Insulating the attic flat cuts it off from the rest of the home’s conditioned space. Start your rebellion against high heating and cooling bills.